Extremely thick coasters or maybe paper weights. That’s generally what people think when they visit my stall at markets or come to my studio and see the acrylic photo blocks for the first time. Goes to show that acrylic blocks are still fairly new in Australia. Not many people are familiar with them. One, it makes me feel like a bit of a trendsetter, and two, it creates an instant talking point, makes for some laughs and gives me a chance to hand out my card. Whether with my images, whether with inspirational quotes, or with your images: they are the most stylish and newest way to present any image with a frameless floating like effect. 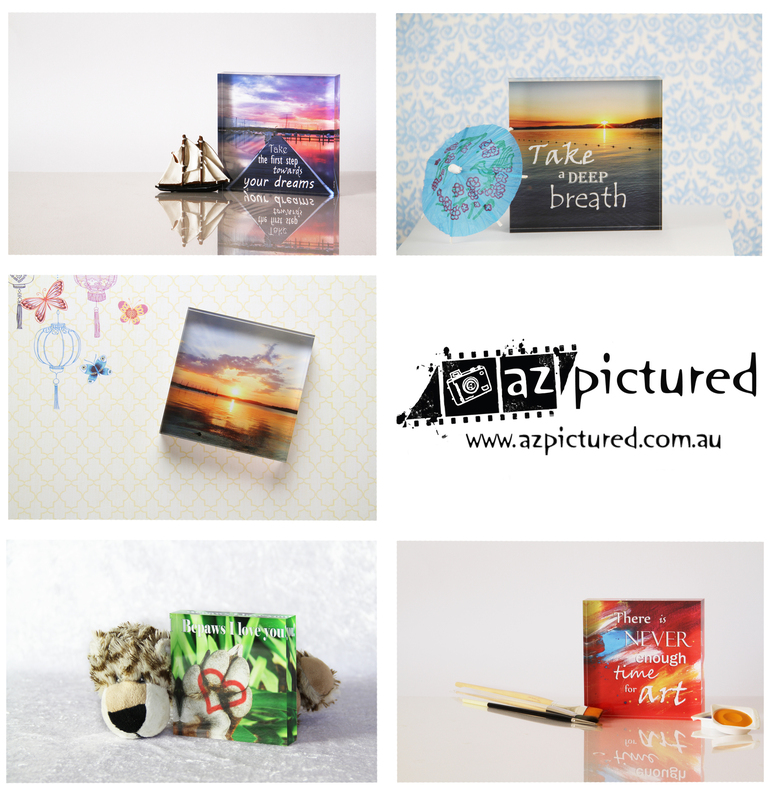 This Christmas many clients will be the trendsetters amongst their friends and families, having ordered a wide variety of images and family photos on their own special stylish acrylic photo block.